As the holiday season is winding down, our bellies are comfortably full, and the new "toys" we received are demanding a place to call their own, I can't help but feel sated with my surroundings. Christmas break comes but once a year and this time I'm taking full advantage of these short days of freedom. I've slept for what feels like the first time in months. I've taken the week off from work to do what I haven't done since this summer—take a break. My batteries need recharging, time with family and friends needs to be spent, and I have glorious plans to finish reading the book I started back in October. I need to rediscover me again. Yesterday I took out my camera and dusted it off from nearly a month of disuse. I feel almost ashamed to admit that I've neglected it so long. My camera and I are often inseparable during my culinary triumphs and defeats; the feel of the camera back in my hands was a welcome familiarity. 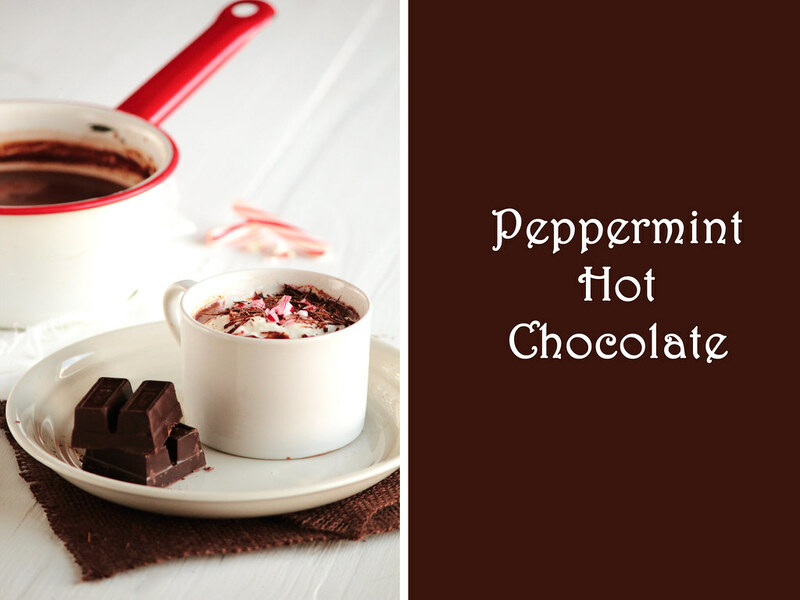 With newly found time on my hands and a longing to hear the click of my camera's shutter, I took it upon myself to recreate one of my favorite winter drinks—a warm mug of Peppermint Hot Chocolate. When the weather gets cold and frost begins to gather on the windowpanes, this is the perfect drink to bring life back into the limbs of a tired, chilled soul. 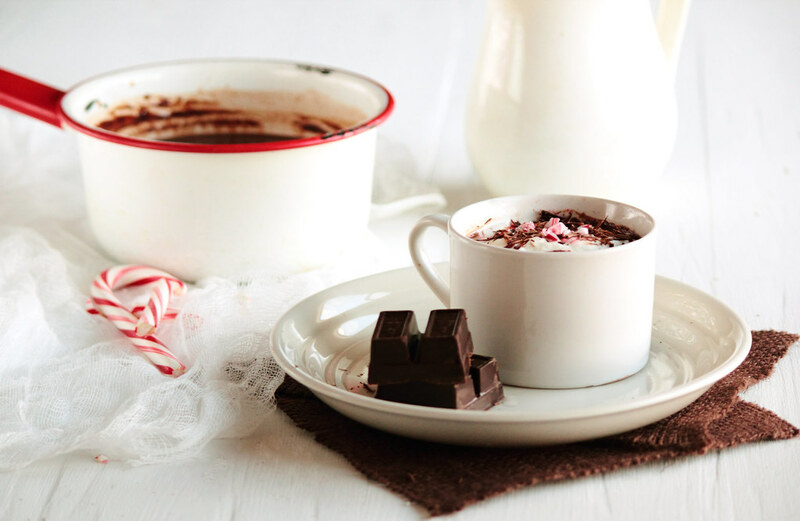 Over the last few winter seasons, I've been on a simple, yet difficult quest to find the best coffee house version of the Peppermint Hot Chocolate. However, the longer my search goes on, the less confidence I have that the rich, silky smooth version whirling and twirling through my mind truly does exist. Throughout the sampling period, I've had more than my fair share of chalky hot chocolate (and I ask you, is there little more disappointing?). More often than not, the maker has a heavy hand when adding the peppermint flavoring (or such a light hand, the taste is more imagined than real). They are often good or just okay, but the genuinely sinful version from my daydreams has eluded me. As I've realized this past autumn, when coffee houses fail to deliver (as in the case of the Pumpkin Spice Latte), it's time to look to my own kitchen to produce what my taste buds most desire. Using whole milk, real chocolate, and a good dose of crushed candy canes, my futile coffee house search is over. 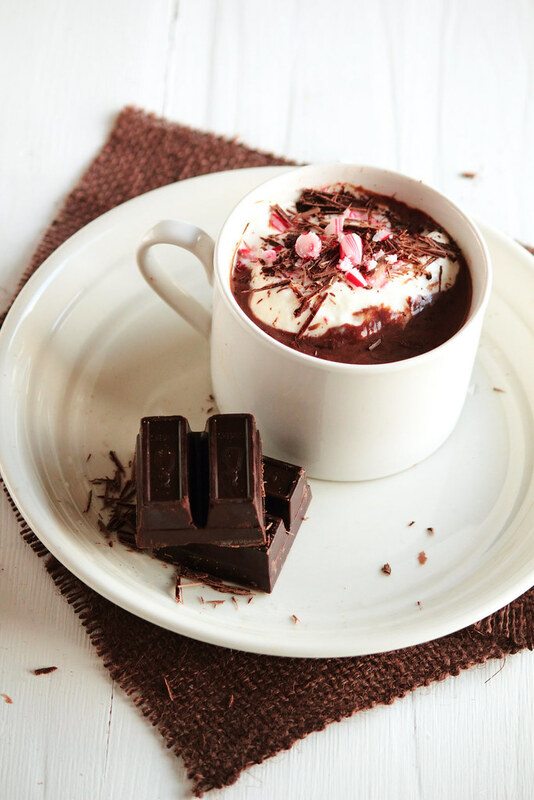 This is the Peppermint Hot Chocolate swirling throughout our dreams. 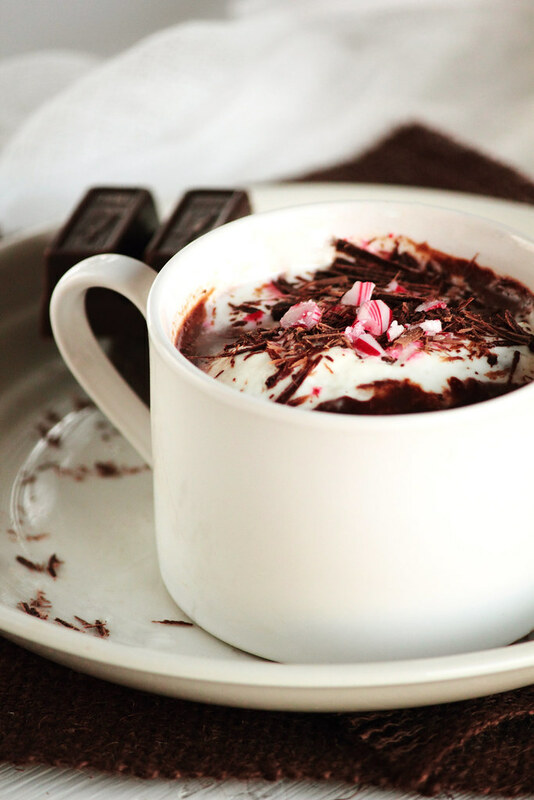 This Peppermint Hot Chocolate is richly decadent. 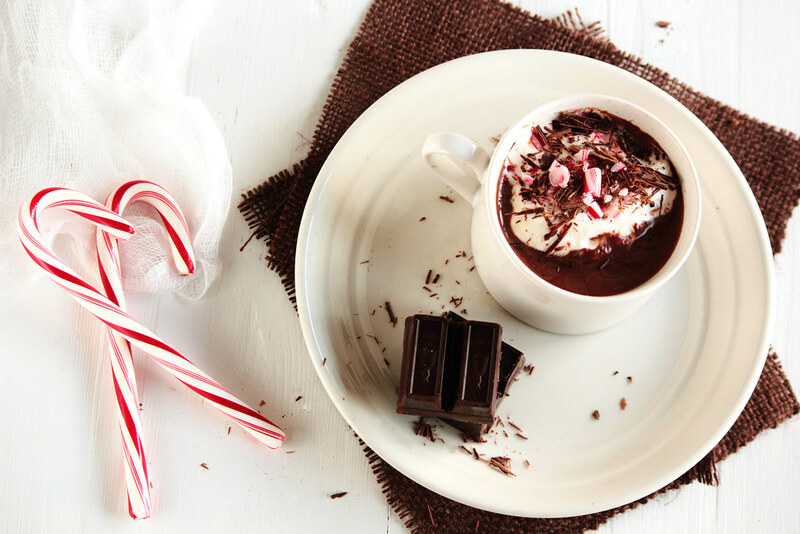 Whole milk, intense chocolate, and crushed candy canes come together to deliver a little sip of heaven to your taste buds. If you have leftover candy canes to use from the holidays, this is a perfect method to clean out the cupboards. Alternatively, peppermint extract can be used in place of the candy canes if they are not readily available. I fully recommend using whole milk for a richer, more sinful experience, but lighter milks (or almond milk) can be used in its place. Drink up, my friends. We've survived the holiday season once again.